I have tried to find some old St. Patrick Day cards, and finally I found some that are both public domain and funny or beautiful. You will find a lot of them below. I have used quite a long time restoring them, so please only use them for personal purpose. 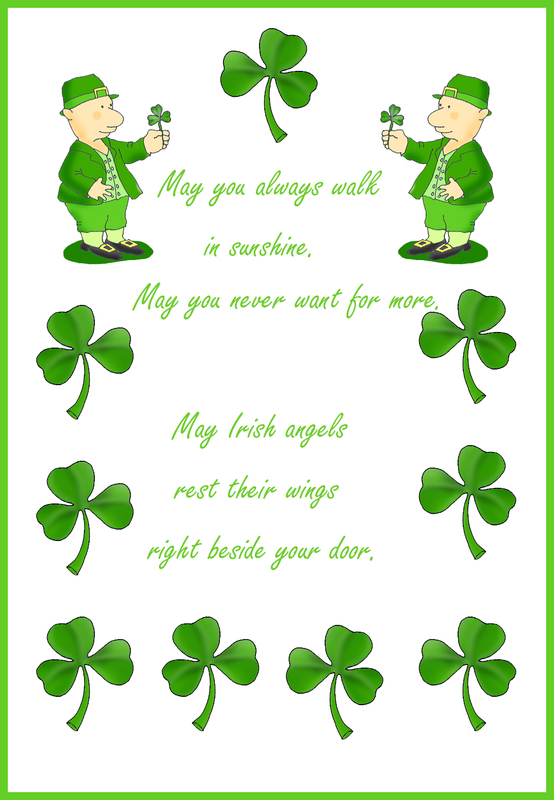 I have also made quite a few new St. Patrick Day Cards out of different clip art, and I hope you will like them. Of course the thing with only using the cards for your own personal use goes for these as well. You can also make your own cards out of clip art and pictures. I have used clip art from a website I use a lot, Clipartqueen.com. When you find a card you like, click it (or right click it) to come to the larger and higher quality version, better for printing. Of course, if you are using the card as a greeting on you cell phone or on the internet, just use the version you find here on this page, it will be quite sufficient. 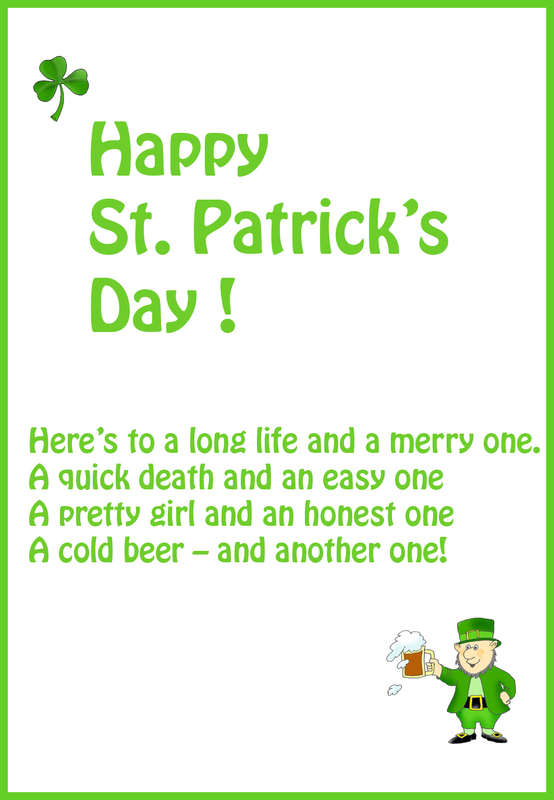 It is illustrated with a shamrock and a leprechaun drinking beer. 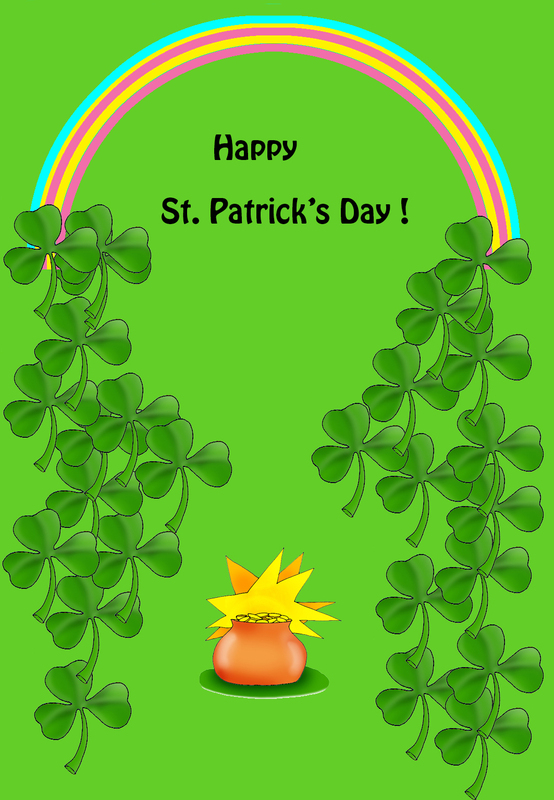 Happy St. Patrick’s Day, and has shamrocks and a rainbow as illustration. 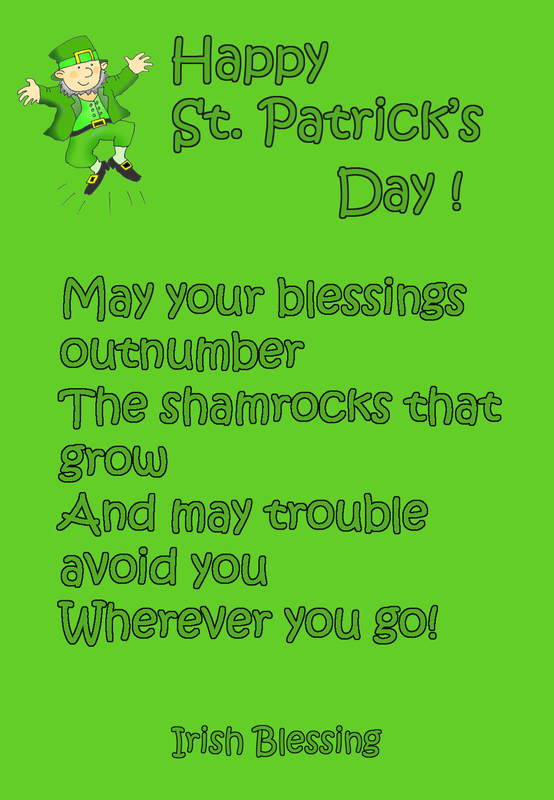 Now comes some old vintage St. Patrick’s cards. 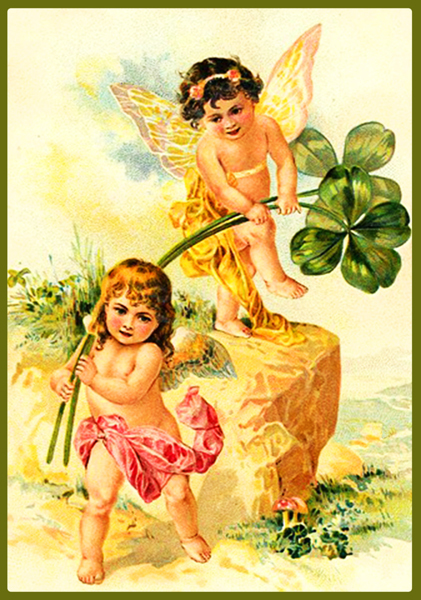 but two cute cupids carrying two shamrocks. “From the Ould Sod, St. Patrick’s Day Greeting. Illustration is a small girl with flower basket. If you don’t find here what you are looking for, I can recommend this other site with free St. Patrick’s Day Cards. 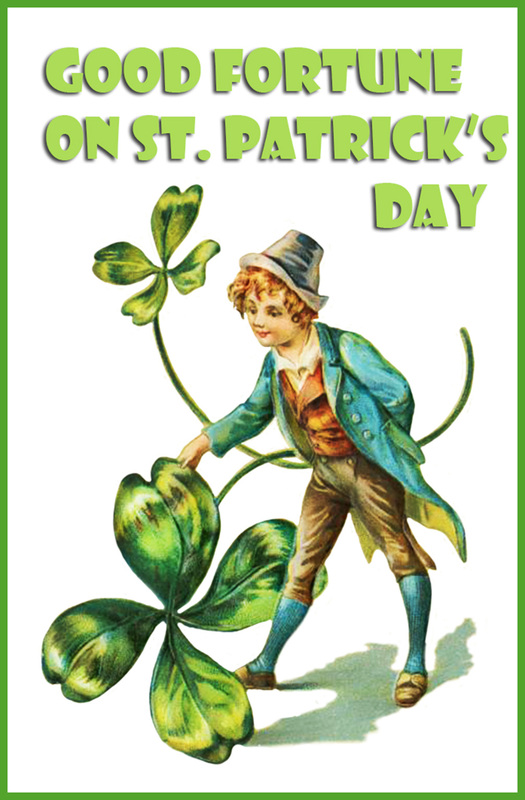 But look below to see some more beautifully restored (and changed a little) postcards with the motive for St. Patrick’s Day. 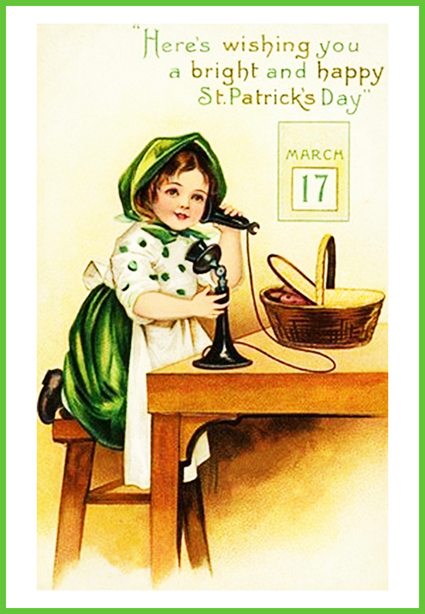 “Here’s wishing you a bright and happy St. Patrick’s Day” is the text on this card with a little girl calling you with that message on 17. March. 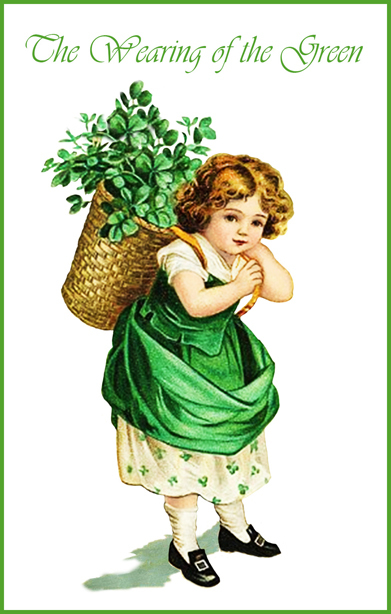 Yet another little girl dressed in green, with a basket full of shamrocks, and even shamrocks painted on her dress. 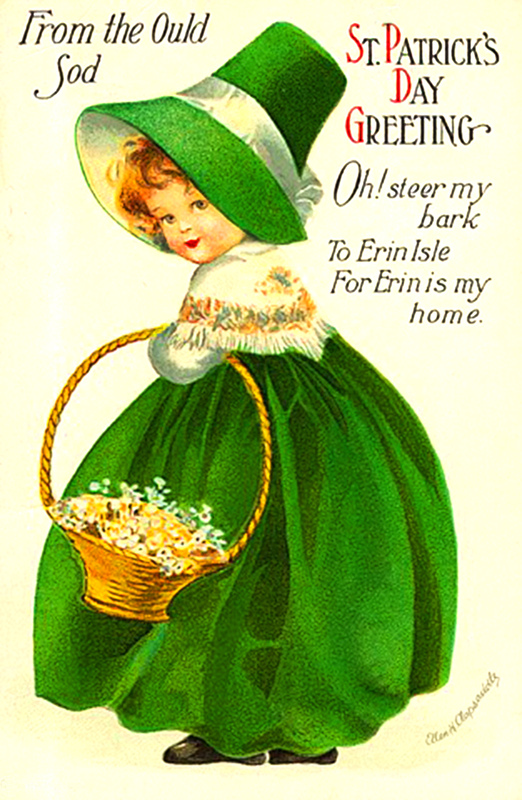 The text is “The Wearing of the Green”. 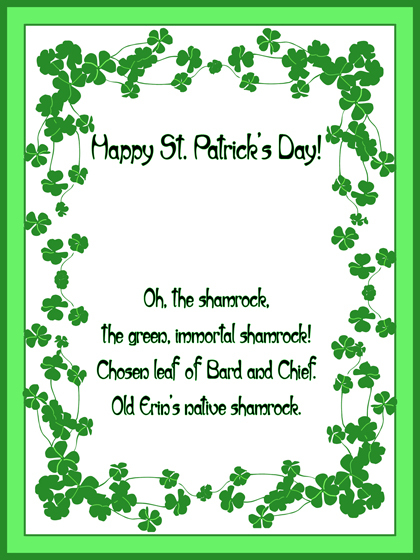 Chosen leaf of Bard and Chief. 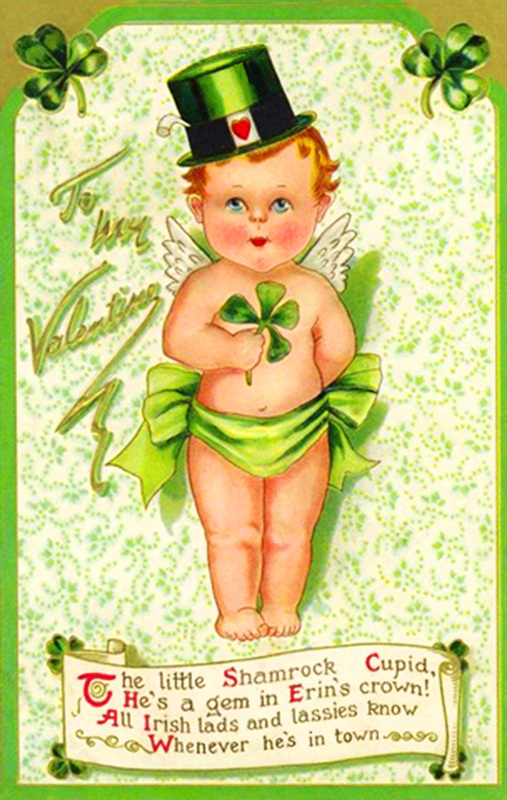 And finally, at least for now, this card, with an Irish boy or maybe an Irish fairy (he seems quite small, compared to the shamrocks?) 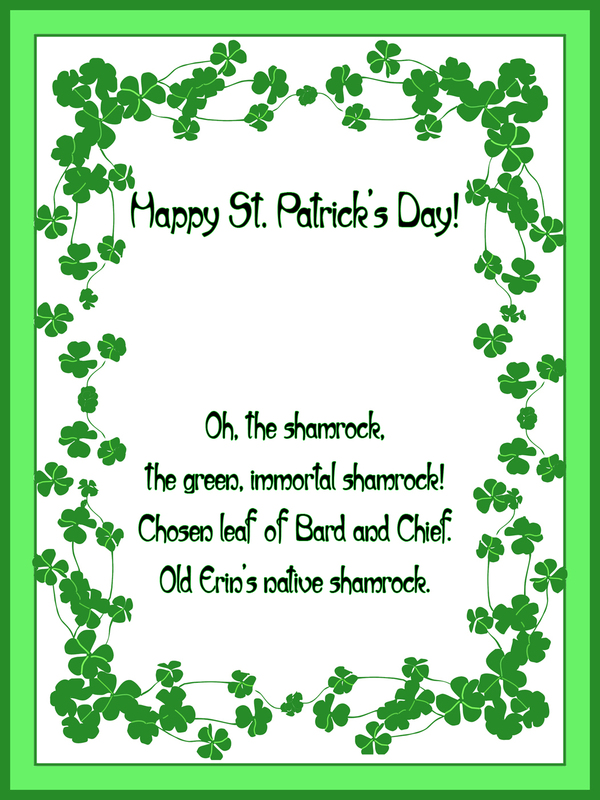 and two shamrocks. The card wishes you Good Fortune on St. Patrick’s Day. 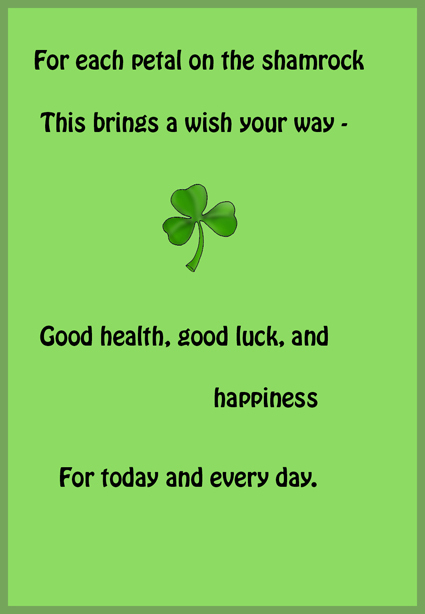 Go to the top of this page St. Patrick Day Cards.